Welcome to the Mentoring Store! If you want to find products, services, resources and community related to mentoring then you have come to the right place. 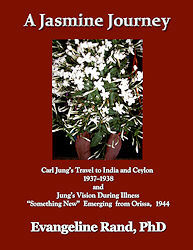 All of our products are based on partnership with Creative Source energy, new sciences, spirituality, transpersonal psychology and philosophy of consciousness studies. The intention of the Mentoring Store is to serve you by providing access to mentoring products, services, information and community. It reflects a community of like-minded people who mentor in partnership with Creative Source Energy. If you work best with personal connection and need help to remain inspired, encouraged, focused and accountable as you work on your business and on issues in your life, get customized help from a mentor. Dr. Duanita creates unique Mentoring Programs that provide individualized support. 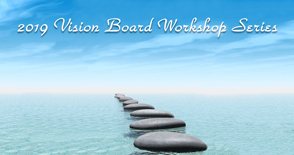 Specializing in assisting people to learn to co-create in partnership with the Creative Force of the Universe, Dr. Duanita will be your guide and mentor in helping you bring forth a Vision that assists you to live on purpose while serving others with love. Helping you shift old belief systems about yourself in order that you can be the best you can be in all aspects of your life. The Mentoring Community has monthly in-person gatherings and an online community. The focus of the Mentoring Community is on education regarding the business side of providing service in the world. Thank you for coming to the Mentoring Store. Enjoy. Read a delightful story about how The Mentoring Store Website Got Its Name. 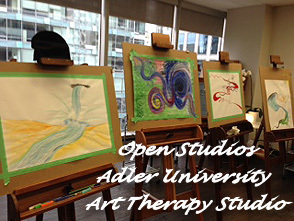 For MCP: Art Therapy Students at Adler University in Vancouver, Canada training begins 'at home' in Studio One, the classroom that was changed into an art studio for the students training as counsellors and art therapists. Studio One was dark, lit only by candlelight when I entered to attend the final Open Studio of the year which the students called 'Winter White'. As I relaxed into the vibration that the students and their brilliant site supervisor had set, I realized that I was getting the same feeling that I got when I walked in the moonlight in fresh-fallen snow. There was a pregnant hush in the air. 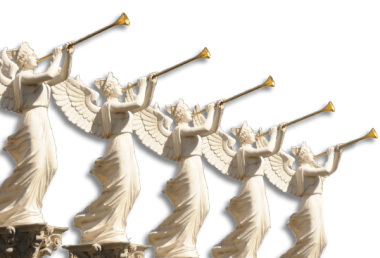 There was a softening and stillness in the world they had created which gave me the feeling of pure peace. My heart overflowed with joy when I realized that these incredible students had worked with aesthetics — line, shape and colour — in order to create an environment which induced a feeling of peace that was palpable to all who entered the space. One of the teachings in our program comes from my art therapy mentor and current Adjunct Faculty Dr. Marie-José Dhaese who said, “Our space can do 90% of the work for us in the therapeutic setting”. I have often pondered how to teach such a sublime concept. 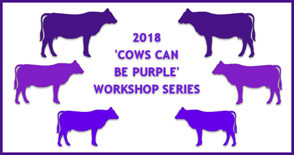 And yet, as I settled into the experience that the students had created in their final Open Studio of their first semester I could see that these students ‘got it’ and were able to actualize this concept that we had studied during the semester. Einstein once said, “No problem can be solved by staying at the same level of consciousness as created it.” In current-day academia, one of the biggest problems is the stress and pressure felt by the community as we learn, grow, and change through sharing and integrating new ideas. Instead of ‘fighting stress’, the Open Studio that the MCP: Art Therapy students created moved those who entered to a whole new level of thought by creating an experience of peace. It is crucial that our students know how to create an experience of peace and well-being since these are the actual endpoints sought of most efforts at social action. I like to imagine the peace that the MCP: Art Therapy students created through the Winter White Open Studio as a vibrational heart, gently pumping peace throughout the world and beyond. As counsellors and art therapists we can only take our clients as far as we ourselves go. We are the tools. And when I see these new MCP: Art Therapy students able to create peace in the anxious, pressure-filled, end-of-term-time in academia, I think "If we can do this, well ... imagine what we can do outside of the ivory tower!" For the full story Art Therapy Education: 'Winter White' at Adler University click here. Dedicated to the brilliant students in the Cohort of 2014, the very first cohort of the MCP: Art Therapy Program at Adler University (Vancouver, BC) and to their dedicated Open Studio supervisors and teachers. 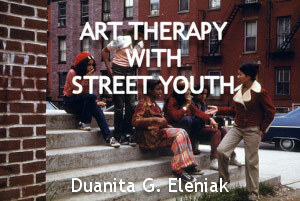 Image of Ethics: A Conversation with Art Therapy Director Duanita Eleniak, Ph.D.
Why would you want to do this course? 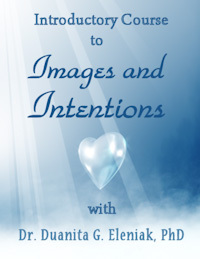 This 14 session Online Course provides information in audio and written format about why working with intentions along with images is a highly effective way of co-creating change in your life. It covers introductory topics such as advantages in working with intentions in images; required commitment to the daily intention work; dealing with external and internal resistance factors; introduction to the range of medium; tips on working with collage; a word on ‘creative accidents’; honouring images and the creative process; image intention review; feedback from your images; the power of the collective; and acceptance that sometimes the Universe has other plans. 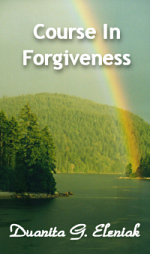 An Online Course in Forgiveness was written to answer your question “How do I forgive?” The course intention is to help you experience answers to your question by teaching about forgiveness and showing you effective ways to work with daily intentions and images to assist this mysterious process to be as graceful and easy as possible for you. 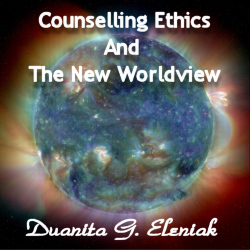 Ideas are presented in this online course to provoke a conversation about the implications for counselling ethics and practices of the current paradigm shift in consciousness. Emphasis is placed on it being the ethical responsibility of all helping professionals to learn about the new developments in the areas of science and to ponder the implications for the field of counselling. The need for a new psycho-spiritual paradigm in the field of psychology is presented along with the need to address these issues in our codes of ethics so that counsellors have some guidance in this pioneering territory. Copyright © 2010 - 2018 Living Infinity. All Rights Reserved.